What does a great workshop need? …and I hope my upcoming Viva Survivor workshop will meet all of these. 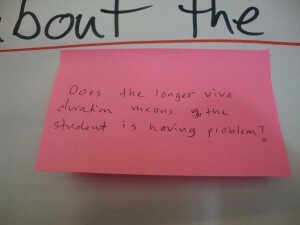 After six years of running effective viva preparation workshops in universities around the UK, I took the plunge in June and ran an independent version. PhD candidates from around the UK – and beyond, someone flew in the night before! – came to the session to learn about how to prepare for the final hurdle of their PhD. After the dust settled and I had time to think, I decided that I would run it again, with a couple of small tweaks, and so my next independent workshop will be 14th September 2016 at Ziferblat in Manchester. Like I said, I think all great workshops have five things that they need in order to be great – and I hope this workshop will have all five qualities. My independent Viva Survivor workshop is on June 29th, and I’m really excited to share with you what participants will be getting on the day. I’ve been delivering this workshop for six years. There are a couple of handouts that I’ve used in the past, and on occasion universities have paid to provide ebooks for participants. I know that the information and insight I deliver in the workshop is valuable for PGRs, but for my independent Viva Survivor I wanted to add to that by providing a really valuable participant pack. I did some brainstorming for this with my wife, and we’ve built a really great goodybag for each person that comes. Want to see some of the things that we’ve put together? 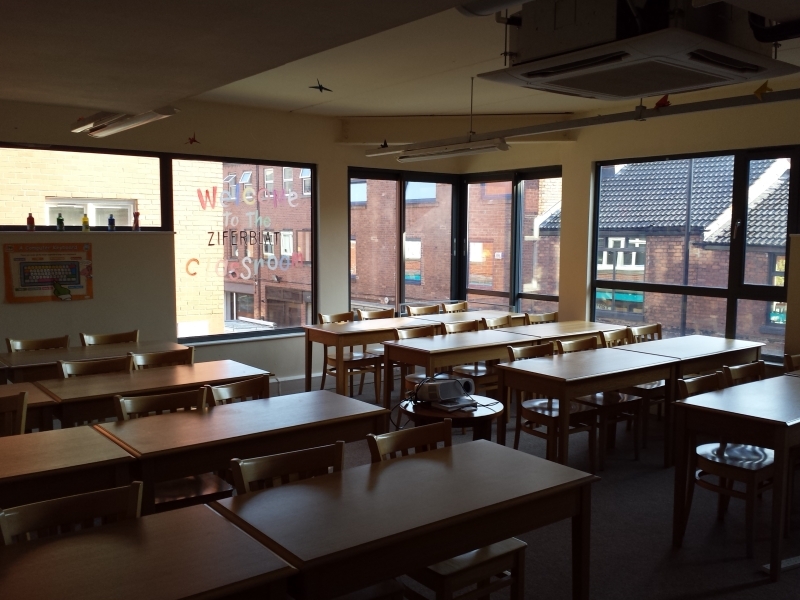 It’s a beautiful space, and the private space that we’ll be using for the workshop is lovely. Ziferblat does things a little differently from other venues; there’s a great cafe/public meeting space, and several fab private rooms. We’ll be in the Classroom, which is made out to look like an idyllic primary classroom of yesteryear – it feels right that a workshop about the pinnacle of formal education should go back to basics! The atmosphere is wonderful at Ziferblat – as are the refreshments provided. No lukewarm tea urns or coffee jugs, no two-packs of biscuits. Proper coffee, proper tea, fruit juice, cake, biscuits and a heck of a lot more. And if you arrive early to take advantage of these or want to hang around afterwards you’ll be more than welcome. This is where we’ll have our workshop. Viva Survivor can help ease viva anxieties, make sure you know what to do to prepare and answer all of your questions about the process. But if can only do that if you come along to Ziferblat. Are you coming? Check out the booking page soon, as there are only limited places available. Can you help me spread the word about the workshop by telling others who might be interested? Thanks for reading – check back on Thursday for details of books that will be included in the participant packs for this workshop! Why am I doing an independent workshop? I announced a few days ago that I’m delivering an independent viva preparation workshop in Manchester on June 29th. You can find full details and how to book at this page; I said that I’d be regularly blogging between now and the workshop about the process of preparing for it, and some of the cool things that I want to do and share at the event. But first I think it’s right to say a little bit about why I’m doing this. Quite simply, I want to help PGRs prepare for the viva. I am fortunate to have directly helped around 2000 PhD candidates over the last six years through workshops that I have developed. I’m the fortunate one, because it’s helped me to find a passion and – I think – a talent, an area that I can do good in. It’s great to have something like that in my professional life, and part of my success has been down to helping people in this area. I’ve written two books on the topic, and run a podcast that I’m told really helps people, which is, again, a great feeling. Still, there are a lot more PGRs that I could help, and I currently deliver workshops at less than 10% of the universities in the UK. 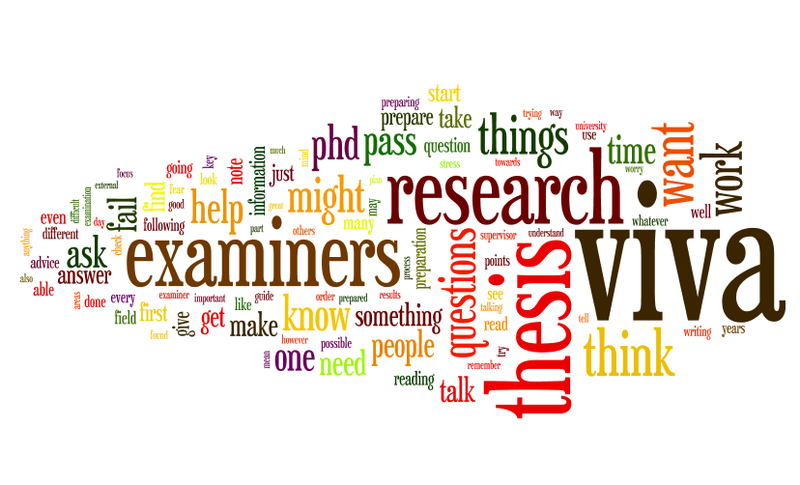 An independent workshop is a way to connect with all of the PhD candidates who want some support in preparing for the viva but don’t know quite what to do or where to turn. I also want to see if it can be done: is it possible for a small freelancer like me to deliver a workshop directly to PGRs? There are many freelancers like me who work with universities and PGRs, and I’m not the only one who wonders if it’s possible to do something like this. I’d love to show that it can be done. Delivering an independent workshop is an experiment and a challenge – and most importantly a chance for me to grow. Already I’m being stretched in how I manage the logistics of this, I’m developing original materials to support the workshop that I would never have thought to do in a university setting (but which now seem like such a good idea that I will probably start using them in my university workshops too!). I like to scheme and dream, and I did that a lot during my PhD. It’s only since then that I’ve found I can actually put my schemes and dreams into reality. 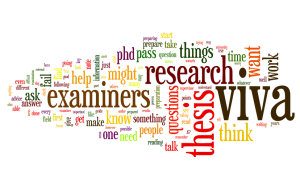 If you’re interested in learning how to prepare for the viva effectively then please check out my workshop; or if you know someone who has their viva coming up, then please share my workshop with them! And if you want to know more, then please get in touch, I’d be happy to chat about it with you. Thanks for reading! More posts about the development of this exciting new project next week. 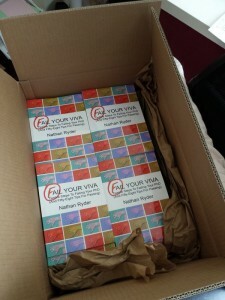 PS – here’s a not so subtle hint of one of those resources that participants will receive at the workshop! Hopefully more details next week. For the longest time I’ve wanted to deliver an independent workshop to PGRs. 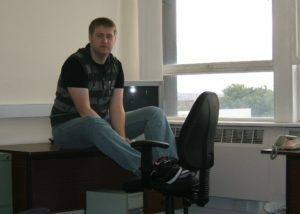 Don’t get me wrong, I love working in universities, and I plan to keep doing that for a long time to come. But I wanted a new challenge and I wanted to share my Viva Survivor workshop with PGRs at institutions that I don’t routinely visit. It seemed like an intractable problem for a while, but then I found Ziferblat, a really great meeting space in Manchester. 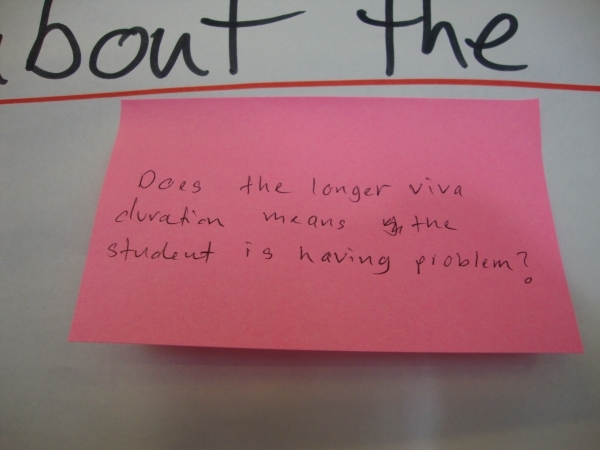 discussed common questions about the PhD viva. I want to make this a really special session, I want people to leave knowing that they are set for the viva, that they know what to expect and what to do. I’m going to be providing excellent supporting materials, including ebooks, print books, handouts and some other interesting things – plus hopefully some things to make participants smile! And Ziferblat is going to be providing an excellent venue and refreshments for the day. Sound good? I hope so. Please come! More details and booking is on the Eventbrite page; places are limited and while I want to run more of these in the future I have no dates or plans at the moment. Please share this with others, let them know that there is an independent workshop happening to help PhD students prepare for the viva. Come along and meet PGRs from other institutions, find out how to prepare and what to expect. If you want to know more, then get in touch: drop me an email, tweet at me or leave a comment here! I’ll be posting a lot over the coming weeks about the details of the workshop, announcing things about the various parts that I’m excited about. If you want to know details today, then please contact me. Thanks for reading, and if you can, please help me share this exciting new opportunity with others. 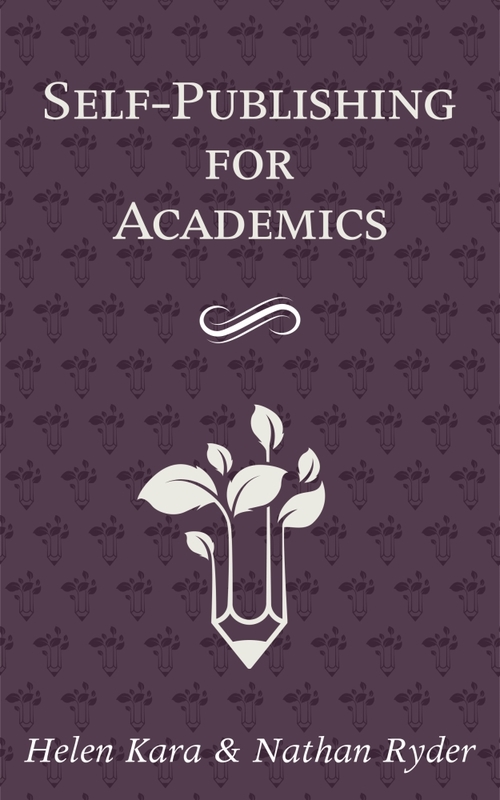 Self-Publishing For Academics, out now! Last week I wrote to say that I had a new book out today, so here it is! Helen and I worked hard on this for months, and the end result is a compact how-to guide on self-publishing, aimed at academics who are wondering what it’s all about and if it’s right for them. Yesterday, the awesome Research Whisperer blog published a post by us which explored how Helen and I collaborated. This morning Helen has published a blog post that we both worked on, a kind of dual Q&A where we explore the whys and hows of self-publishing and this book. We’ve been quietly hyping the book on Twitter, as shouting from the rooftops is not quite our thing: still, it was great to wake up this morning to find that our book had made it’s way to the Number One spot in the College & University chart of the UK Kindle Store! 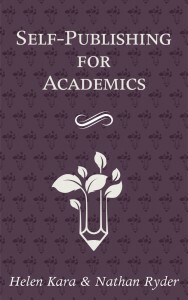 Self-Publishing For Academics is available now from the Amazon Kindle Store! It’ll be available from other e-book distributors soon, and I’ll update this post with a list of links as and when those links go live. Check out the Research Whisperer post and Helen’s blog for more details. I’m really proud of what Helen and I have produced in such a short space of time, and I hope you check it out and find it really useful too. Announcing: Self-Publishing For Academics, new e-book! We wanted to write something to help others in academia figure out how to self-publish something that’s important to them, like I have with my viva books and Helen is doing with her series. We each had different experiences and ideas for how to get it done, and by joining forces we were able to write this pretty effectively and get a lot done in a relatively short space of time (we had our first Skype meeting to throw some ideas around in mid-January!). In Self-Publishing For Academics, aspiring self-publishers can explore the practical realities of making an e-book, find the perils and pitfalls that can trip you up, and learn about some of the great ways to make progress. We can’t teach you how to write something awesome, but this book can help you get your own amazing writing out there and in front of others. Self-Publishing For Academics is due to launch next Wednesday, May 18th 2016, and we’ll be tweeting and sharing it widely on that day. We would love it if you could help us tell others about it. Tweet, share it on Facebook, email your friend who has always been talking about self-publishing something – and email us if you have any questions about it. You can email me here and look for Helen’s contact details here. Thanks for reading this post – Helen and I are really pleased with how this project has turned out, and hope that it’s a great help to academics who want to self-publish.